2015 Cadillac SRX Luxury Collection! PEARL WHITE! BEST COLOR! NICE! 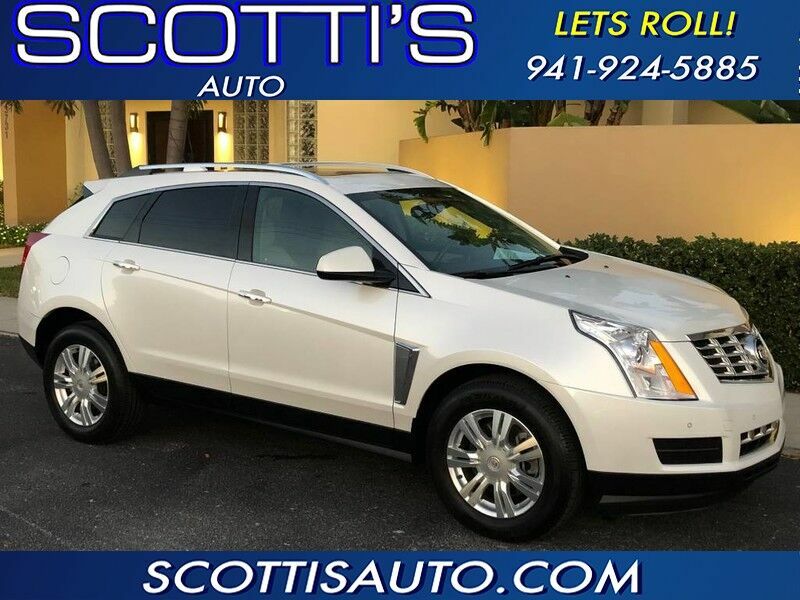 Scotti's Auto Sales Is A Family Owned Business And Has Been Serving Sarasota For Over 30 Years. List price does not include sales tax,tag,registration fees, government fees, electronic filing fees, dealer fees,document fees, finance charges are not included in vehicle price. These charges represent cost and profit to the dealer for items such as cleaning and preparing documents related to the sale. Our dealership reserves the right to sell the vehicle at anytime. We will not be held liable for mistake errors, omissions, or issues associated with vehicle listings. There are errors in pricing when inventory is fed to third party sites. Our dealership reserves the right to sell the vehicle at anytime. We will not be held liable for mistake errors, omissions, or issues associated with vehicle listings. There are errors in pricing when our inventory is fed to third party sites. Great effort is made to ensure the accuracy of the information on the site, errors do occur so please verify information with a customer service representative by calling our office at 941-924-5885.